When Andrew Apperley visits his brother David in the East, he brings along an unexpected companion. Andrew’s giant wolf dog, Comanche, is so wild that he has to be chained up for the safety of others. However, when the Apperley brothers come across a man drowning in the East River, Comanche breaks loose from his chains and swims to the man’s rescue. In fact, this man, Single Jack Deems, is a convict who has just escaped from Blackwell’s Island. Deems wants Comanche for himself, and trails the Apperley brothers as they journey back West. Meanwhile, Andrew has his own problems back home with dangerous outlaw and businessman Alex Shodress. Shodress has learned to steal with immunity from the law, and has imperiled everything Andrew owns. When Deems finally shows up at the Apperley ranch to buy Comanche, Andrew tells him that there is only one way he can win possession of the wolf dog, if he is willing to do it. 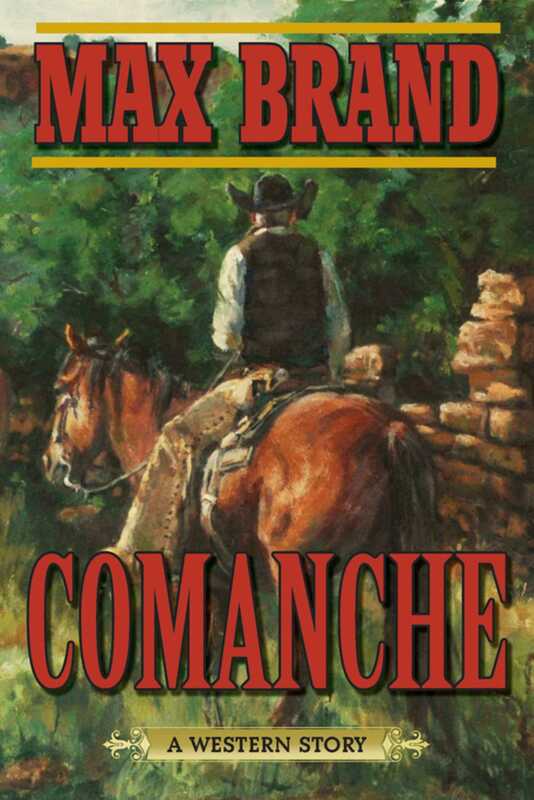 Once again, beloved Western author Max Brand weaves a compelling story of the Old West, its systems of law and justice, and the people that lived in its time.